Breaskfast before. Ham and poached egg on toast with jellied toast. 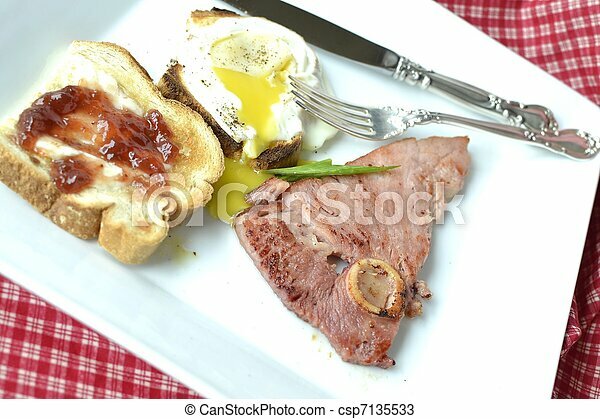 Ham and Poached egg on toast with jellied toast.